Maintaining a healthy, beautiful smile is mostly about how you care for your teeth. If you want to protect your teeth and maintain a Hollywood-worthy smile, it’s important to do what your dentist tells you. Proper dental care is critical for your teeth’s health, for your body’s health, and even for your social status. Hollywood’s stars typically have the straightest, whitest, and most beautiful teeth you’ve ever seen, and there are two reasons for that. First, they take care of their teeth. Second, when they need extra help, they know to take advantage of cosmetic dentistry. Whether you’re on the red carpet in Hollywood or the red carpet of your personal life, here’s how to make your pearly whites shine so that you can look your absolute best. DO brush at least twice daily. Spend two full minutes twice a day brushing for optimal tooth cleanliness. Brushing is especially important after eating sugary foods because the sugar sits on your teeth and eats away at the enamel, eventually causing cavities. DON’T brush too hard. Using abrasive toothbrushes or brushing too hard can scratch the enamel on your teeth, which can wear down over time. Brushing too hard can also damage your gums, and weak gums lead to weaker teeth and a weaker smile. DO floss once a day. Twice a day is even better. Brushing your teeth is not enough because food particles can remain stuck between the teeth. You may choose to floss right after brushing or right before, but definitely be sure to do it. DO go to the dentist regularly. Regular teeth cleanings and checkups are essential to maintaining proper dental health. DON’T put objects like pens or pencils in your mouth. Not only is it a bad habit, but it’s also hard on your teeth and can damage them. 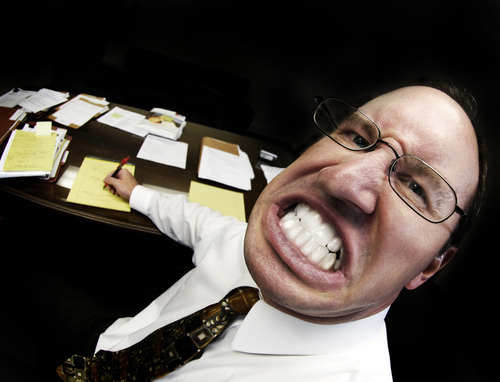 DON’T clench your jaw or grind your teeth. Forcing your teeth to scrape against each other like that is really bad for them. Doing this enough will eventually cause your teeth to chip and crack. 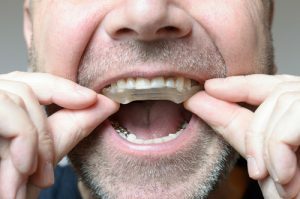 A custom-made mouthguard can protect your teeth from grinding at night. DON’T chew ice or bite your nails. Both can crack, chip, or otherwise damage your teeth. DON’T drink coffee, tea, or soda. Avoiding these beverages may be difficult, but these drinks hurt your teeth! Not only can they discolor your teeth, but they also wear down the enamel. If you choose to drink one of these teeth-staining drinks, drink it through a straw to minimize your teeth’s exposure. DON’T use your teeth as a tool. Opening packages with your teeth, holding items with your teeth, or ripping anything with your teeth can cause all kinds of damage and ruin your smile. If you’re doing everything you can to protect your teeth and you still need extra correction, you may wish to consider cosmetic dentistry. Invisalign® can straighten your teeth the modern way and porcelain veneers can protect and cover damaged teeth. 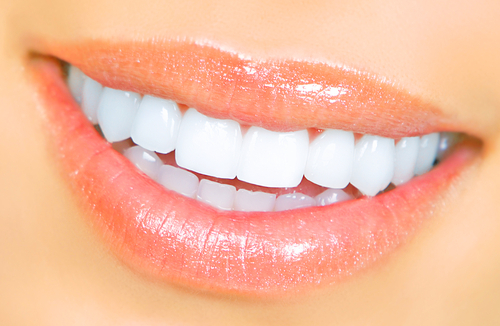 Call us today at (310) 273-0111 or fill out our online contact form to schedule your consultation with Cosmetic Dentist to the Stars, Dr. Kevin Sands. This entry was posted on Friday, August 28th, 2015 at 10:07 am	and is filed under Bruxism, Dental Care, Dental News, Dental Treatment, Flossing, Oral Health. You can follow any responses to this entry through the RSS 2.0 feed. Both comments and pings are currently closed.